I cannot believe that we have another month in the book! Where the heck is time going? Baseball season is coming and life is flying fast at me. All great stuff though. This month’s article even features a new image! Finally, I decided to do away with the old “Dividend Income” image and get creative. Lanny updated his last year, so it was time for me to as well. My wife and I were playing Scrabble and then I had this idea for the article. But back to business, I’m starting to ramble. At the beginning of the month, we each post our dividend income summaries to track and monitor our progress. Lanny recently released his March dividend income summary and produced absolutely insane numbers. I’ll let you see them for yourself. But all I have to say is DAMN LANNY! It is my turn now. 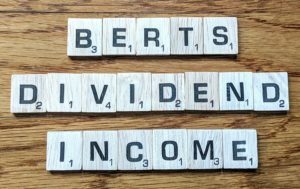 Here is my March dividend income summary! As you can see, the mutual fund distributions were out of control this March compared to the previous month. This was caused by two factors. First, last year was the first year my wife and I maximized our 401(k) contributions for the year. After 12+ months of doing it, the results really started to show. We have well over $25k more funds invested in these funds compared to the same period last year. So naturally, the dividend is going to increase accordingly. The second factor magnified this though. A few of my funds paid a large capital gains distribution compared to the previous year. So not only was the dividend larger, but there was another HUGE payout that wasn’t made at this time last year. This was the driving catalyst of my large year-over-year increase compared to last year. I received dividends from 8 additional positions in 2019 that were not in my portfolio at this time in 2018. Some of those names, Pepsi, Dominion, Exxon, UPS, etc., provided HUGE dividends compared to last year. The HCP decrease this month was the other side of the timing difference I mentioned last month. HCP paid in February in 2019 compared to March in 2018. It is hard to tell and there are too many individual ones to list out here. But there were a lot of nice increases from companies that paid dividends in both years for me due to large dividend increases in 2018. I mentioned how strong growth was last year in an article I wrote in 2019, and this monthly summary is further evidence of that trend. In this section, I’ll review two different ways that my forward dividend income increased during the month: dividend increases and investment activity. In the first table I will review dividend increases. Well, after a lot of dividend increases in January and February, this was a pretty light month. Our favorite monthly dividend paying company, Realty Income, provided a slight increase in their dividend. Do I wish the increases resulted in more dividend income…ABSOLUTELY. Am I going to complain about it….HECK NO. I’ll never complain about a dividend increase, especially after the Kraft-Heinz dividend cut. Although, I do find it funny that my income would have increased more this month by finding three stray carts in an Aldi parking lot and returning them than by dividend increases. This next table summarizes the additional dividend income received from stock purchases and 401k contributions. 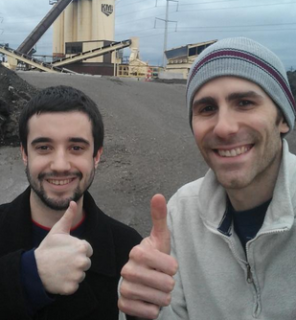 From these two sources, I was able to add $126.54 in dividend income! I recently discussed my purchases of WRK and CVS in an article, so I won’t elaborate more on the topic. And the remaining difference is related to 401(k) contributions. In total, from dividend increases and stock purchases, my dividend income increased $127.10! Not a bad day at the figurative office, eh? Well, I am pretty freaking excited about the results! How could I not be? I know that I won’t be able to sustain a 95% annual dividend increase. So I am going to enjoy this one. It is funny, recently, some days have been good for me and some days have been bad. But when I see results like these, it reminds me of why I am on this journey to financial independence. I have a lot of hard work ahead of me. That’s for sure. But I’m ready to continue fighting and clawing my way towards financial independence. We will all get there, I promise. So let’s hit the ground running and make it freaking happen. LET’S GO! How were your months of March? Did you set a record? What new companies paid you a dividend compared to last year? What dividend increases did you receive during the month? This entry was posted in Monthly Summary and tagged Dividend Growth Stocks, Dividend Income, Investing, Mutual Funds, personal finance, vanugard, XOM. Bookmark the permalink. That is a boss month. This past March is the best month ever, but to be fair I expect that best month record will be broken every 3 to 6 months. What was your taxable vs retirement breakout? Thank you so much! You hit on the best part of dividend investing right there. We set records and then crush them IMMEDIATELY after. It is the goal that continues to grow! Love it. I’ll have to crunch the numbers, but if I had to guess, it was 60/40 leaning towards retirement (401k and Ira). Thank you so much MDD! Your month was freaking awesome as well. Bottom line, this community continues to do amazing things. Are you kidding me? Nearly 100% increase with those large numbers? Awesome job Bert! Wow, what a fantastic summary to report! This some great evidence of what maxing out your 401(k) x2 can do for a portfolio. Congrats to you and your wife for a well executed strategy! Thanks PIV! Your’re correct. This growth rate could not have been achieved without our significant contributions to our 401k plans. Now it is time to keep the plan going!! Haha jk man you guys killed it. huge growth numbers. those numbers add up fast! PCI – I love it! And I appreciate the kind words as well. Dude this is insanely awesome! I’m loving the increase in dividend income right at the start of Baseball season. We just had the Colorado Rockies opening day on Friday. It was great. I’m trying to be more active again now so I hope to continue to stop by and see the awesome progress. Congrats on the great dividends! Wow! That kind of growth and over $1,700 in dividend income is insane! March was yet another record month for me, as I’m slowly but surely approaching my first $100 month. I’m expecting that to be next March. Thanks Kody! I’m pumped that you set a record as well! You’re going to get to that $100 month before you know it. Just wait and see. I’m guessing you hit it in December. Just killin’ it, Bert! I think it took me an hour to go over all those dividend payers 😀. 8 new payers arriving on the scene is awesome, too. The raises were light in March, but we’ll crank those back up in April. 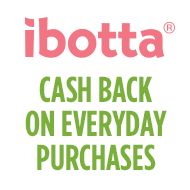 Good to see the continued purchases, as we know that means even bigger dividends in the future. Definitely some tremendous totals here. 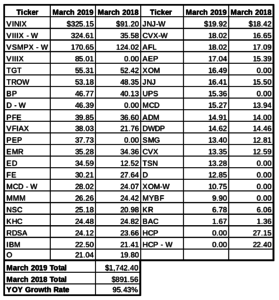 Congrats on an impressive March….you should enjoy it, as 90%+ growth months don’t come along often at your dividend level. Keep doing what you’re doing. HAHA Thanks ED! Too kind. I have been pretty fortunate so far, I must say. April has been excellent so far in terms of dividend increases and I’m hoping the second half of the month isn’t going to disappoint. Life flies by fast so make every moment count… and every dollar too. Now that’s a strong finish to a quarter with many great companies sending you cash too. It’s not about sustaining such a high growth rate as much as showing a consistent growth rate every single month. You do that… and you are golden. Awesome job! Making every moment count has been on my mind a lot lately. I want to make sure we are more present in every moment to get the most out of it. And I appreciate what you said about the dividends. You’re right. It is about the mindset and focusing on continued growth. Great job you knocked it out of the park this month nice YOY. Some nice buys also lots of small dividend increases this month lol. Keep it up. Thank you very much Doug! The “small” dividend increases were absolutely hilarious this month. Better than nothing, right? What a month Bert! Amazing growth compared to last year, as others already mentioned. And when you look at the numbers ($850 more compared to last year in a SINGLE month) – you should be proud of what you did over the last year. Those 401(k) contributions are really paying off! Thanks BI! I appreciate the motivating comment. Each month is a journey and I couldn’t be happier to be on it with the support of my wife, Lanny, and this freaking awesome community! Almost double? That’s nuts, awesome results and really shows the power of maxing out that 401k. The quarter ending months are going to be nice with all of those mutual fund dollars flowing in every year! Solid March and impressive growth. You are killing it over there! Thank you so much Brent! Thank you so much! This was by far my largest paying month in terms of the volume of companies that paid a dividend. It is like a nice little ETF all on its own. Near 100% YoY! You did an amazing job. Thank you so much DSFI!